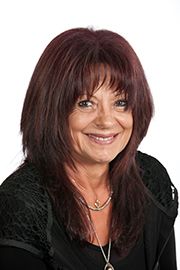 Cr Galbally is currently working as Business and Finance Manager for Counselling and Psychological Services P/L. She is also an experienced employment consultant and careers counsellor. She has lived in Park Orchards with her husband for 20 years, has four sons and two grandsons. Cr Galbally has initiated and been involved in numerous community projects over the years including the Park Orchards Farmers Market in 2011, a monthly not-for-profit community event run by the local Lions Club. Cr Galbally is an advocate for equality and social inclusion and believes local government has a responsibility to support and enable community groups in delivering their services and activities. She would like Council to continue promoting business development and job creation for a more economically sustainable future.